Solar Led Landscape Light : built-in 1 section 1.2 V 600 mAh NI-CD AA battery, It can last 8-10 hours working time after fully charged in daytime . Waterproof & Eco-friendly : solar powered,no electricity cost or conventional energy consumption. IP65 waterproof level , water resistant to withstand all kind of bad weather , .good choice for decorating your garden with them . 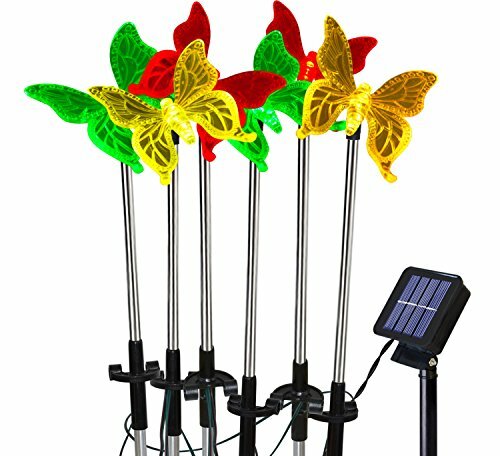 Easy installation & Operation :No wiring or external electricity required for use, using a included stake to fix them on ground .Light turns on automatically when dark - also controlled by manual on/off switch. 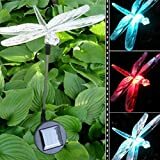 the solar led landscape light , total come with butterflies, dragonflies,Hummingbird and flower bug shape of lamp (optional ) ,owning water resistant body,so you can choose the shape of lamp you like to decorate you garden, lawn,patio, flower bed ,how beautiful it is ! also can be a path light , for ambiance lighting . 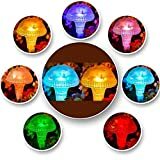 These solar LED light can be charged by solar in the day time, and shine in the evening. No any electricity cost .No wire and composition of complex, just a ground stake and the lights. Easy for you to operate, just ON/OFF control.